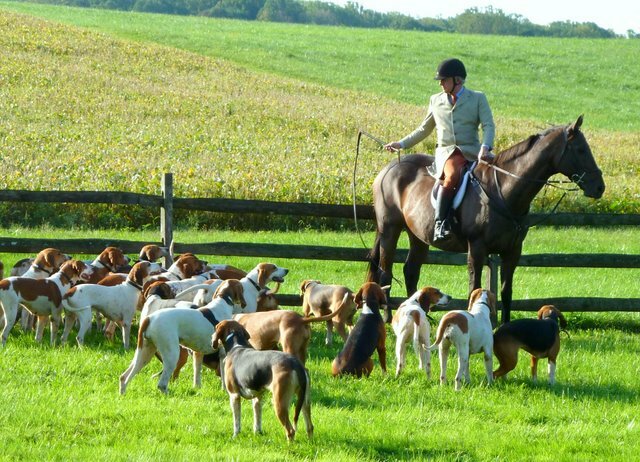 What could be more indigenous to Chester County than a real fox hunt complete with hounds, horses and riders? Listen up and gather around the Master of the Foxhounds as he rounds up his dogs and prepares them for the chase. Then comes the bugle call for the riders and their mounts to start. Watch them reach for their shot of morning liquor at the “courage table”. Yes my faithful readers, all of this is not so much illusions of the past or senior slips into movie scene flashbacks, this is the real McCoy. As part of this year’s 71st Chester County Day, the public was invited to witness the start of a fox hunt on Heartwood Farm in Willistown. This magnificent property is located close to the village of Sugartown, near the intersection of Goshen and Providence Roads, adjacent to Radnor Hunt. And for those who do not know, Radnor Hunt is the longest continuously running fox hunting club on, as the Brits say, this side of “the Pond”. 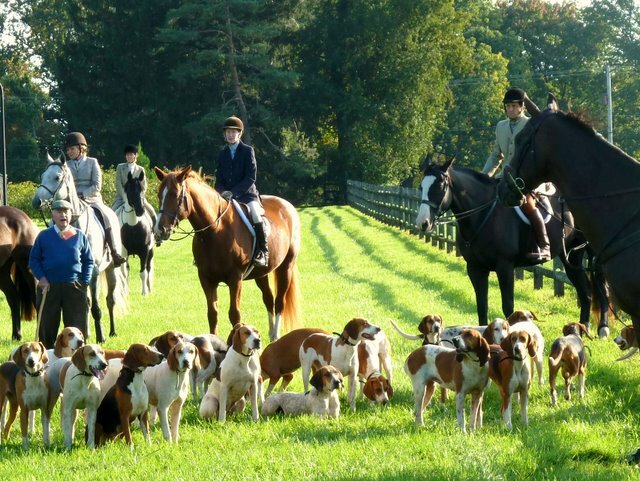 For over 100 years, Radnor Hunt has been the focal point of an active sporting community, carrying not only its traditional activity of foxhunting, but also encouraging a great many other activities involving horses, horsemanship and good sportsmanship. The Fox hunt, that I just witnessed, was on October 1, prior to the formal season when riders don their more colorful garb of red and black coats and white britches. Oh well, I guess I will just have to catch another one in the near future to see them in full color. It was truly magical seeing almost thirty magnificent horses, their riders and the same number of hounds spring forward to the beckoning open farms, tree lined and dotted with post and rail fences and occasional jumps for the seasoned and brave. 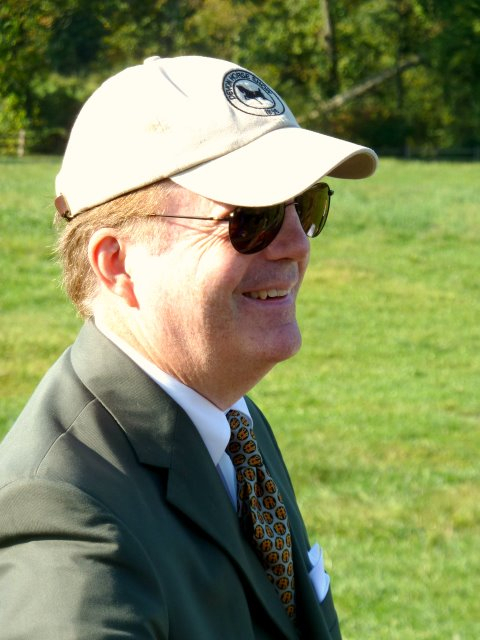 You can receive more information on Radnor Hunt Club and their foxhunting schedule by visiting them on-line.